Every now and then, an Uber ride gets a lot trickier than it should. Usually, meeting up with the driver is easy and you can be on your merry way. Things get a little complicated in crowded areas where it isn’t as easy to spot your driver. The latest update to the Uber app brings some new features that’ll make hailing an Uber a lot easier. The first feature, known as Spotlight, is useful when you’re in dark areas where the driver could have difficulty spotting you. With Spotlight, you can light up your phone with a special colour specific to your driver. Your driver will receive a message telling them what colour to look for. All one has to do is hold their phone up in the air for the driver to see. The scheduled pickups feature comes in handy when you’ve got to catch the flight or make it to an important meeting. With the latest update, if you schedule a pickup for a certain time, you’ll be guaranteed that a vehicle gets there on time. In case of delays, you’ll be given Uber credits which can be used on subsequent rides. It isn’t much, considering that you may miss your flight as a result, but we’ll take what we can get. The last feature is easily one of the most useful of the lot. You can now send messages to your driver to provide an extra detail or two. If for some reason you’re unable to call the driver, the ability to send messages goes a long way. You can even tell the drivers that you’re wearing a particular colour of jacket to help them identify you better. There are a few pre-populated messages that can be sent with one tap as well. 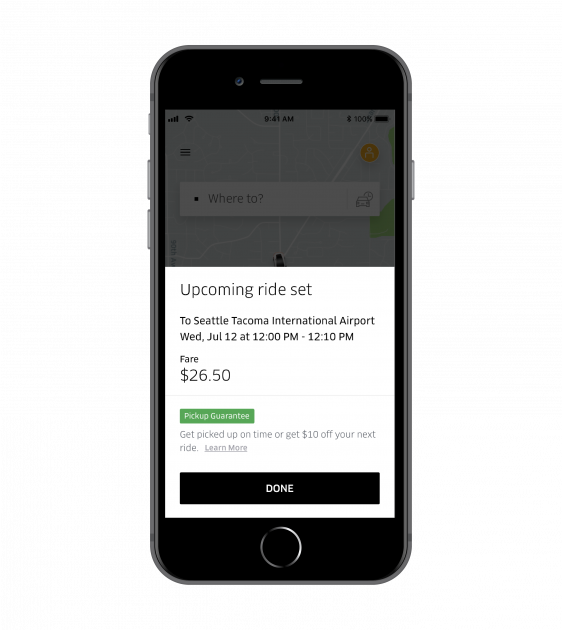 Uber didn’t specify when the new features would be rolling out and we can expect to see them go live in the next few days.